Gift of Jeffrey Hoffeld in honor of John Plummer, 2007. New York Sotheby's, May 20, 1993; Jeffrey Hoffeld. Ms. single leaves; the vellum stock is from ca. 15th-16th centuries, illuminated in the late 19th, early 20th century. 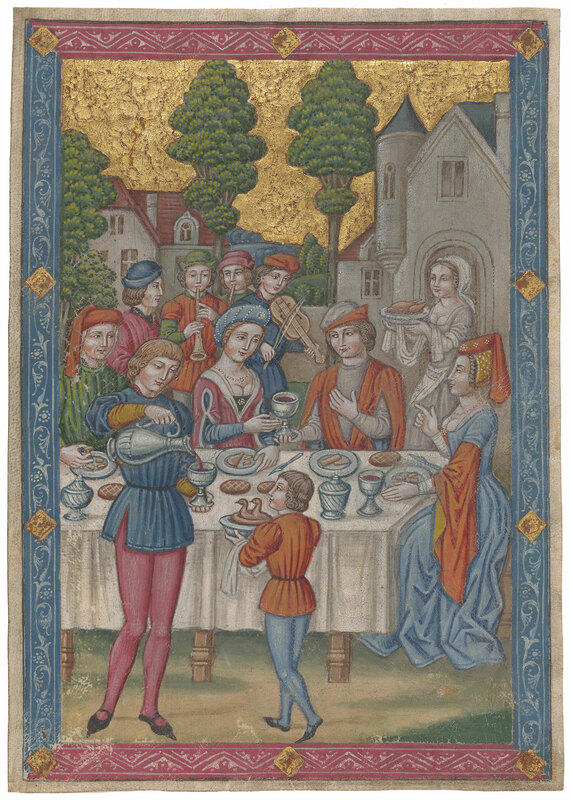 Decoration: M.1165.1: banquet scene; M.1165.2: couple distracted by woman while a thief cuts of the purse of the woman in the couple. The leaves have been assigned the numbers L178-179 in the ongoing catalog of the Spanish Forger by William Voelkle.